Not to be confused with Three Personal Finance Plaques. I admit to doing weird stuff to save money sometimes. You (and especially my wife) might say I have a particularly George Costanzan approach. Elaine (speaking to George): You’re extremely…careful with money. George: I’m cheap? You think I’m cheap? How could you say this to me, I can’t believe it! Anyway, the truth about this post is that I only have one obscure “personal finance hack.” And it’s not really even a hack, so much as it’s literally about a kitchen utensil. I only told you it was three items because that’s called clickbait. Again, this is a post about a single utensil. Not even three different utensils. You’ll see why. If you’re still with me, maybe you’re willing to come a little further. The jar scraper is the index fund of the kitchen. It’s cheap, prevents wasted money, and is only exciting to the truest cheapskates. Its yearly return on investment when compared to financial products is bonkers. Maybe this is something everyone has in the kitchen, but we were gifted a utensil set recently and this was my first exposure to its brilliance. I realize I might be really late to the jar scraper game. I had my doubts about the jar scraper. It sat dormant for a long time, awkwardly taking up real estate with other utensils in our starting lineup of spatulas, wooden spoons and whisk. So why did I keep it on the roster for so long if it wasn’t getting any playing time?? I only have the kitchen gods to thank. Praise be. It was only until an intense moment of peanut butter need that I gave it a shot. My jar of peanut butter seemed woefully empty – I forgot to buy more and saddled myself with nothing but an “empty jar.” My PB&J was surely going to be reduced to a “J” sandwich. But then I saw it in my moment of desperation. It was time to get this jar scraper in the game. Now, this jar of PB was beyond merely being what I previously knew as empty. It had already been through a thorough scraping from a regular butter knife. How it came to still be in the cabinet was beyond me. Traditionally, this was game over. But this is the magic of the jar scraper. This SOB can scrounge up at least another full serving of peanut butter from seemingly nothing but brown residue. The notch is the most important part of the jar scraper. It lets you get underneath the contoured top of any bottle or jar. There’s at least one spoonful of PB under that little shelf and the jar scraper is your key to unlocking it. I promise you, the jar scraper will get it for you and it won’t even complain about it. It works selflessly for you at any time. Let’s say you are the consumer of $5 of “jarred products” per week. Maybe it’s peanut butter. Maybe it’s jelly. Maybe it’s Nutella. Whatever it is, you like it and you’re wasting a bunch of it. Until now. My extensive research says there’s roughly 10% of product left for your jar scraper to redeem after an initial round of scraping with a knife. This means you’re wasting 50 cents per week! 50 cents multiplied by 52 weeks gives us $26 per year in JSR, or Jar Scraper Revenue. 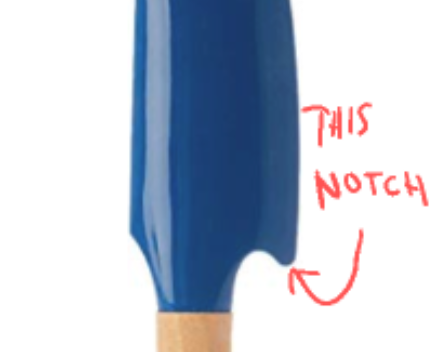 The Le Creuset jar scraper costs a mere $14, even if you buy it directly from them. That’s an 85% return on investment in the first year alone. Just imagine the compounding effects of decades of jar scraping. Maybe you’ll spend it to build a little shrine for your jar scraper, but the choice is yours. 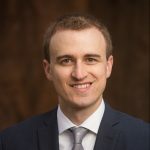 ACC Founder, Tyler Linsten, CFA. Click for bio.